Industrial Threaded Products is quickly becoming the premier stocking distributor and importer of coupling nuts in the country. 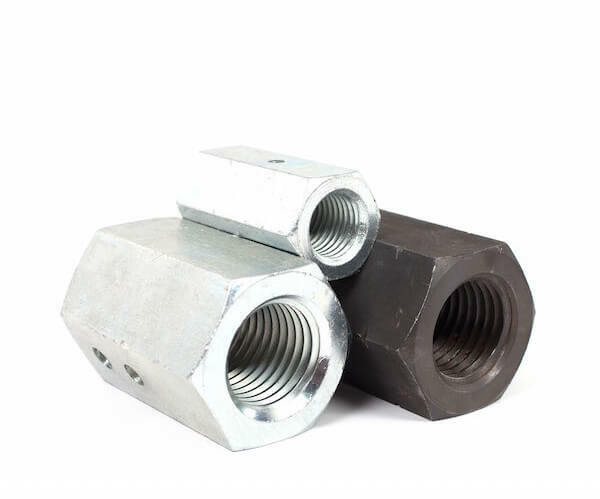 All ITP warehouses stock low carbon and medium carbon steel coupling nuts in Plain, Zinc, and HDG. ITP also stocks every reducer coupler size combination from ¼-20” through 2-4.5” with and without drilled sight holes. Coupling nuts typically join two externally threaded objects, usually threaded rod. When ordering your threaded rod, please ask your sales representative for a quote on coupling nuts.